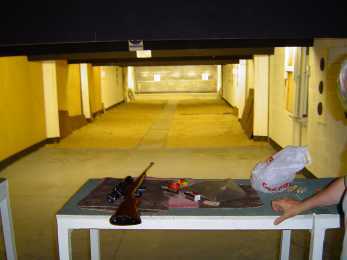 The Club offers target shooting facilities to both beginners and experts. Tuition and the use of Club equipment is free of charge. Members can compete in both national and local leagues against other competitors at the same level of expertise, or you may just shoot for fun if you wish. The competitions are carried out on our home range and are witnessed so there is no cheating, and the targets posted to designated scorers. The scorers then send out results to the participating teams. This means that members can compete against teams from throughout the country without the need to travel. 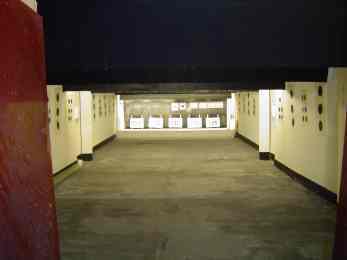 The Club has two 25 yard indoor ranges that can accommodate approximately ten shooters at a time, and can be used for most types of shooting. We shoot target rifles, sporting rifles, air rifles, air pistols and black powder pistols. Opening times are 7.30pm to 9.30 approx every week night. Do you want to have a go. Click here! 1. This site is for education and information only! 2. Under no circumstances will I/we be liable for any damage or harm, caused by use or misuse of any information, facts and opinions, placed on or taken from this site.